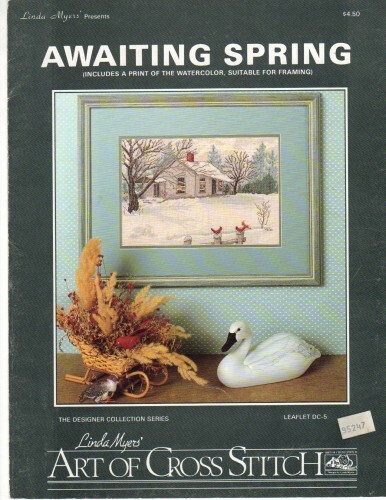 Art of Cross Stitch Awaiting Spring Linda Myers counted cross stitch leaflet. The Designer Collection Series. Stitch count 142 x 209. Includes print of the watercolor. Appears new. Some minor shelf wear along edges. Sticker on cover.